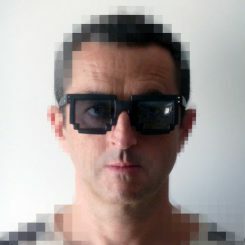 PhD, Professor at Universidad Complutense de Madrid, where he teaches Media Art and Interactive Environments since 1995, pushing digital technology in art and design studies. Deeply involved with Processing, PureData, and LibreGraphics software. Active researcher on digital art practices, he’s directed thesis on game art, sound art, audiovisual performance, interface, 3D and video-art. Sonic & Visual artist, he explores sonic landscapes and synchronicity with visual processes, artificial lifeforms and generative image in audiovisual performance.